You can use the service provided by our Multilingual Call Center easily at a low cost. Operating 24-hours a day and 365-days a year, our operators are skilled in their respective languages, and they will serve as your telephone interpreter. Your company can use the telephone interpretation service in accordance with your needs. Our operators can serve as an intermediary between your representatives and your customers and interpret via two-way and/or three-way communication method. In addition, we provide written translation service in variety of fields to include, but not limited to translation of emails, chats, SNS, and video interpretation. Our call center operates 24-hours a day, 365-days a year. 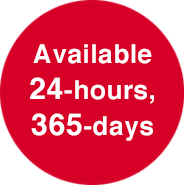 We can provide the service even if your request requires only irregular hours, such as nighttime or day-off. 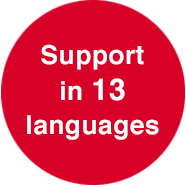 Multilingual Call Center provides support in 13 different langauges (English, Chinese, Korean, Portuguese, Spanish, Thai, Russian, Tagalog, Vietnamese, Hindi, Nepali, Indonesian, and French). All operators are specialists in their respective languages capable of providing high quality service as the mediator of communication. Please be assured our operators are not only proficient in foreign languages but their Japanese language skills are also at the native level. In addition, reports can also be provided in Japanese when needed. Further, we also provide a service where we prepare reports after accumulating and analyzing the Voice of Customer (VOC). 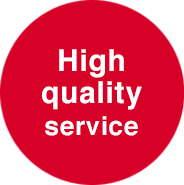 We are confident our high quality service can contribute to expand your business. Furthermore, before initiating a new assignment, operators attend lectures and/or undergo technical training based on the content of the new assignment. Our operators strive to maintain a high quality service by honing their skills, expanding their terminologies, and deepening their industry specified mannerism and knowledge. Many public service entities in the field of medicine, national government, local bodies, legal services, transportation, communication and transmission, finance, real estate, and etc., utilize the Multilingual Call Center. In addition, we provide Multilingual Help Desk for IT equipment maintenance, and we also provide marketing support for Overseas EC Sites. The operators at the Multilingual Call Center will follow your staff’s instructions (call center, etc. ), and provide assistance whenever you receive calls from foreign customers. You can utilize our service when you need to serve a foreign customer, but your multilingual staff is unavailable, or you are unable to allocate any staff during nighttime or day-off. When your line is connected with a foreign customer, you can arrange a three-way call with our Multilingual Call Center and use our interpretation service. In addition, we can accept calls from your foreign customers, obtain their inquiries, call your company, establish a three-way communication, and start the interpretation service. This service is recommended if you wish to outsource the customer support function for your foreign customers. The operator will obtain knowledge about your product and/or service, which will enable them to directly answer inquiries, troubleshoot questions, and report the results. This is a written translation service provided by the Multilingual Call Center where we promptly translate emails in foreign languages from overseas. E-mails received in a foreign language will first be translated to Japanese. Subsequently, your reply in Japanese will be translated into a foreign language and forwarded to your customer. We provide detailed and accurate translation to ensure smooth communication between the two parties. The same service is provided for chats and SNS as well. This service takes telephone appointments or provides telemarketing support to foreign customers in foreign languages. After having acquired sufficient knowledge about your products and/or services, our operators will guide the customers to seminars and exhibitions. Furthermore, they will make sales calls to survey respondents and dormant customers and make sales calls appointment. Finally, they will remind customers to make their payments and report the results. This service allows you to specify the date and time of your meetings, business discussions, and/or negotiations with your customers and/or overseas vendors. Telephone interpretation service will then be provided on the specified date and time. This service is designed for interpretation in simple contents which does not require expert knowledge in a specific industry. Our operators will perform the task using their general business knowledge. Video interpretation allows for smooth communication via visual contact with the use of smartphones or tablets. Accuracy of the interpretation is enhanced by visual display of documents, application forms, and etc. First, our experienced staff will listen to your concerns and requests. We will consider what you need, account for the service contents, hours of operation and languages to be used, and submit a proposal best suited for you. For example, a simple telephone interpretation service require a two-week time frame from the first meeting. This will be sufficient enough for starting the new service. 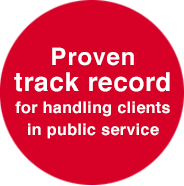 We will first obtain your requirements, the problems you are facing, and consider how the issue should be resolved. The following will then be specified: Operational hours (weekdays, holidays, daytime and/or nighttime), languages to be used, specific task volume, required task frequency, and whether report is required or not. The final step is to verify the service manual with talk-scripts (*). *Service manual will be generated to help maintain the high quality of telephone call responses. Along with the plan to resolve the issues facing your organization, we will submit a quotation with the price and the starting date. Further, if required we will conclude a confidentiality agreement. The contract will be executed when the work specifications and price are agreed upon by both parties. In addition to creating a manual with talk-scripts, we will arrange the necessary documents related to the job, and train the operators through lectures and role-play so that they are prepared to start the operation. We perform test calls and/or test emails before starting the operation. Simulations are conducted by creating the actual operational scenarios. We will start the operation only when we are prepared, and our readiness is confirmed by our customers. Copyright (c) LanguageOne Corporation. All Right Reserved.